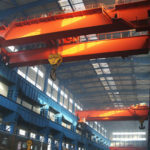 LB model explosion proof overhead crane is a kind of single girder crane specifically designed for hazardous lifting environments, usually equipped with HB explosion proof electric hoist. 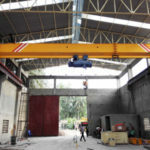 The motor and electrical devices of this crane are also explosion-proof type to ensure a high level of safety required for explosive atmospheres. 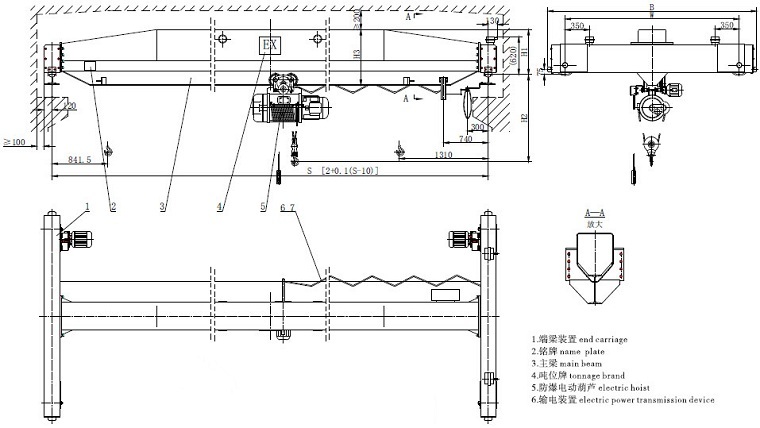 The single girder explosion proof crane is widely applied in power plant, chemical plant, sewage treatment plant and other industries to load, unload and transfer heavy items. It can lift a large amount of weight, ranging from 1 ton to 20 ton, and the working class is A3. 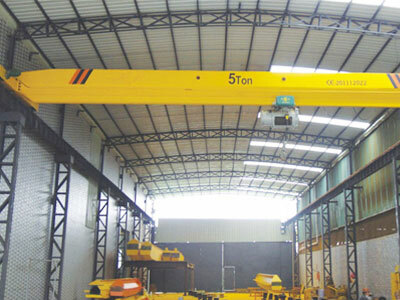 One of the most distinguished features of this bridge crane is strong explosion-proof performance and excellent safety. 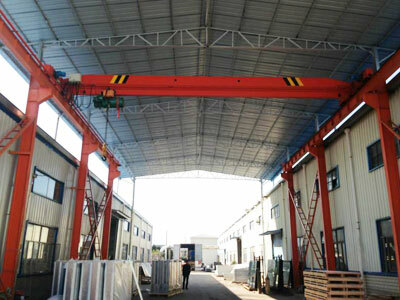 The explosion proof overhead cranes are with compact structure and strong rigidity. It has light dead weight, reasonable construction and delicate appearance. 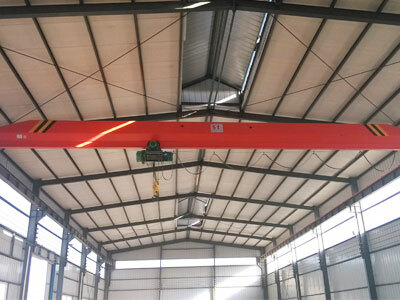 This crane will significantly improve working efficiency and productivity of your plants in hazardous atmospheres. Under normal circumstances, it can be applied in jobsites that may generate explosive gas. Under normal circumstances, it is suitable for places where the explosive gas cannot be generated or leaked in a short time. 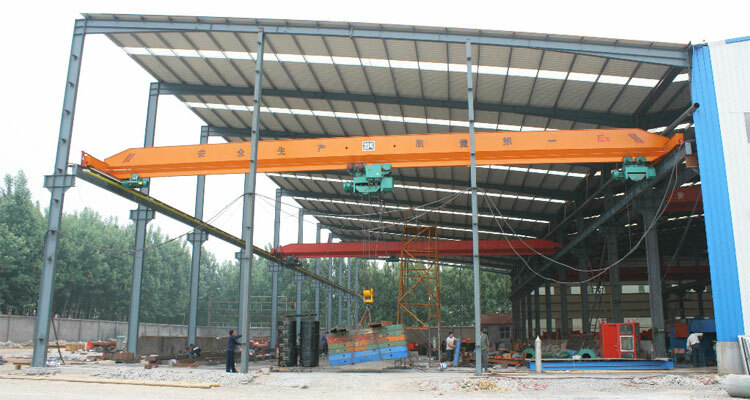 The explosion proof bridge crane supplied by Dafang is designed and fabricated in strict accordance with JB/T10219-2000 standards. According to different requirements, the explosion-proof grade can be classified into gas explosion proof ExdII CT4 and ExdII BT4, and coal dust explosion proof. 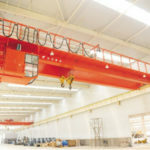 When the explosion-proof rating is ExdII CT4, the overhead crane should take a treatment of spark proof. 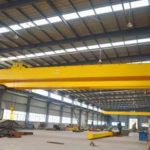 The main components of explosion proof cranes include bridge, explosion proof hoist, crane travelling mechanism and electrical devices, many of which will take explosion-proof treatment to adapt to hazardous atmospheres. 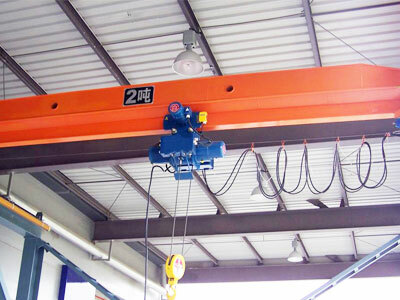 Hoisting mechanism: this single girder overhead crane adopts HB explosion proof hoist. Explosion-proof motor: the standard insulation class of this motor is B, and protection grade is IP44. According to specific environmental conditions, the motor with F or H insulation class, IP54 or IP55 protection grade is also available. The explosion proof motor features good heat dissipation, high explosion-proof performance, excellent safety and long working life. 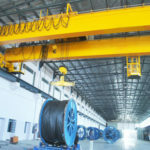 Explosion-proof wheels: The wheel group of explosion proof hoist cranes usually utilize stainless steel or nylon wheels to avoid sparks caused by friction during lifting movements. Explosion-proof electrical system: the electrical devices are generally with sealed cover, and the explosion-proof rating is ExdII CT4 or ExdII BT4. Protection system: Some protection devices such as travel limit switch are explosion proof type. 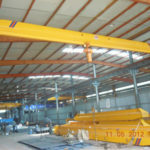 The explosion proof overhead crane is generally operated either from ground or by a driver sitting in the cabin room. Ground control: pendant control and wireless remote control are available for your requirements. 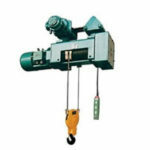 They are more often used for small and lightweight lifting applications. The control button box also applies explosion proof design for safety. Cab control: it is suitable for heavy duty lifting operations. The options for cabin include open or enclosed type, left or right installation. 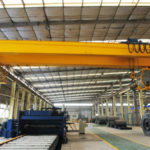 To know more about explosion proof overhead crane, contact us online now.